I just found this great article about Stepparents and their stepchildren on Huffington Post. Kudos to all the stepparents who work extra hard to take care of their loved one’s children – in some cases even more than some “real” parents. What are your experiences with your stepchildren or stepparents? Feel free to share them in the comment section! Every stepparent remembers the moment they finally earned their stepkids’ seal of approval. It’s a meaningful moment — as any stepparent can tell you, a stepchild’s trust can be hard won, sometimes taking years and years to gain. 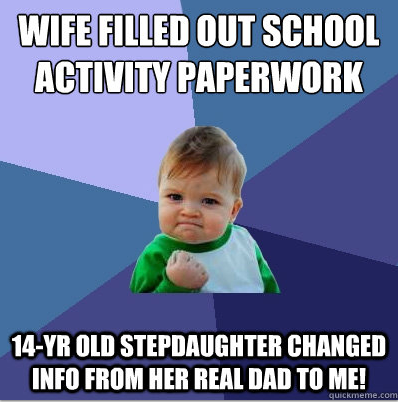 The stepdad’s success story won over Reddit, with fellow stepparents and stepkids weighing in with their personal stories in the comments.